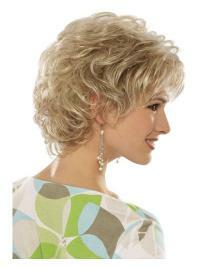 * Short Length: Crown 3.5"-5"
This is a beautiful wig! I had very thin hair. So, I had my hair cut short and researched human hair wigs. The wig is very easy to style and I had my hairdresser cut bangs into it and layer it to frame my face. I feel very confident wearing it every day. Feels so great to have hair again! I would say about 85 percent of people have no idea I'm wearing a wig. There have been a few that have asked it I got hair extensions. I'm very happy with my purchase! I have this wig in two colours. I love the shape of this wig and the colours look so natural. I'm really enjoying wearing my wigs they are so comfortable and makes life so much easier for me with my tremor. The customer service is excellent and the web site is so comprehensive, I can't be more pleased. This looks so real that it was NOT known that I was wearing a wig. Very comfortable. Will buy more. So natural and the colours are beautiful. Recommend highly. You will not be disappointed. 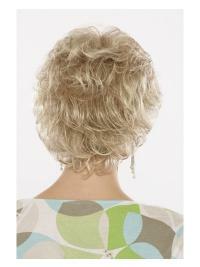 I am glad to say all your wigs are trustworthy and sold at affordable prices. I wish your business will go from strength to strength. I will definitely recommend you to my bosom friends! Oh, yes, i got it finally. I am looking for this one for such a long time. This wig is really cool,just my style. This is my second order on your website. The wig again fits me perfectly and it is so comfortable. There is no doubt I shall order some more wigs in the near future!